Built, Inc. can help you improve your workplace safety and security to help reduce hazards and injuries. If your facility houses potentially flammable chemicals or materials, using fire rated wall panels for your office space could save lives (and may be mandatory depending on your insurance provider). Panel Built, Inc. offers multiple different fire resistant wall panels, contingent upon what your facility needs. 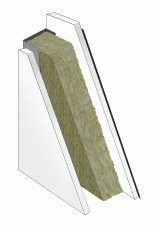 For facilities that need a higher level of fire protection, we offer a one-hour fire rated wall panel that has been laboratory tested to withstand an open flame for 60 minutes. Having a fire resistant modular structure will not only increase your peace of mind but will also provide peace of mind to your employees as well. 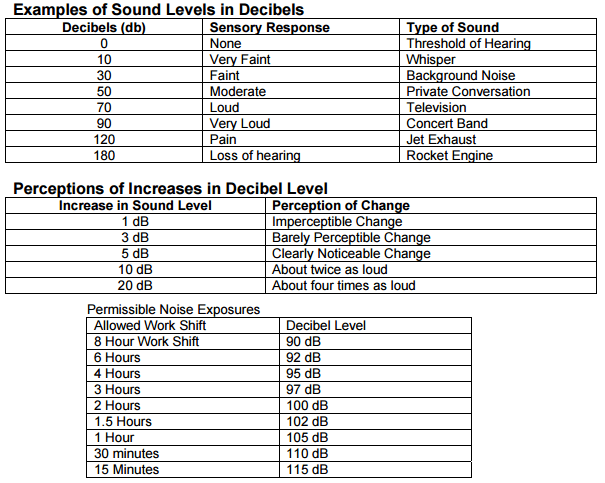 Manufacturing plants with noise levels above 90 decibels are required by OSHA to minimize the working time in those areas and to provide earplug protection. Installing sound controlled rooms will maximize the productive time in an area. 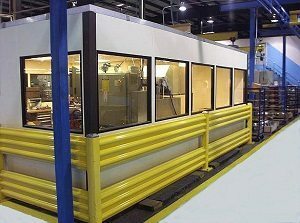 Panel Built’s modular offices can be fabricated to reduce the noise level on the inside to provide a much more comfortable environment in comparison to the noisy factory floor. Specifically in busy or overcrowded warehouses, adding a structural steel mezzanine system can allow you to free up a lot of space on the floor of your facility. A cluttered warehouse can not only slow down your work processes but can also create an unsafe environment for employees. By building up with a mezzanine you can avoid these problems and create additional work or storage space to reduce clutter. Forklifts will then have more room to travel throughout the warehouse with fewer obstacles to run into. Our mezzanine systems can also be used as catwalks to reduce the foot traffic in your facility. Overall, the extra room that a mezzanine provides your facility will allow your work processes to flow smoother, and ultimately creates a safer and more organized warehouse. In facilities with frequent forklift traffic, barrier railing provides added protection to the equipment, inventory, and structures in your building. Constructed from high strength steel, we offer both single and double rail systems that can withstand severe impacts. Even when a forklift is traveling at low speeds, a forklift carrying a heavy load will have a lot of moment, enough to serious damage. 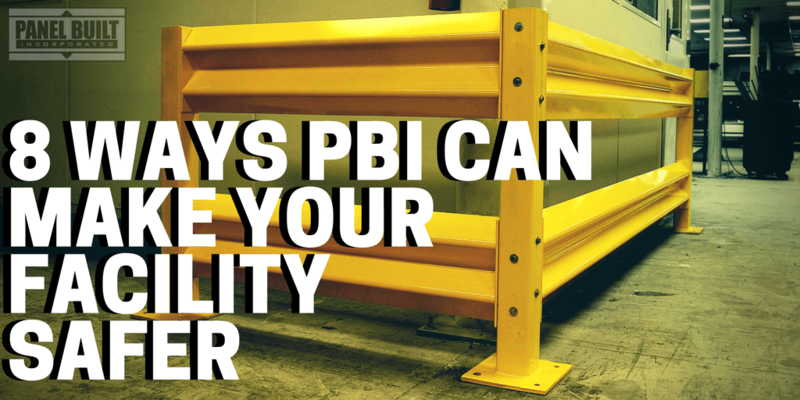 Plus, the barrier rails are powder coated in a bright yellow, making it easily visible and avoidable in your warehouse. Many warehouses and facilities need open areas on their mezzanines in order to move materials on and off the platform. However, having a giant area without any safety railing presents a huge safety risk for a company and its employees. For this reason, Panel Built offers swing and pivot gates in order to close off the area while it is not in use, preventing unnecessary risk and injury. These gates provide you with a little extra protection to provide as much safety as possible on top of an elevated work platform. With the pivot gate, it ensures that there is railing surrounding the perimeter of the mezzanine at all times. Another important aspect of your facilities safety is of course security. 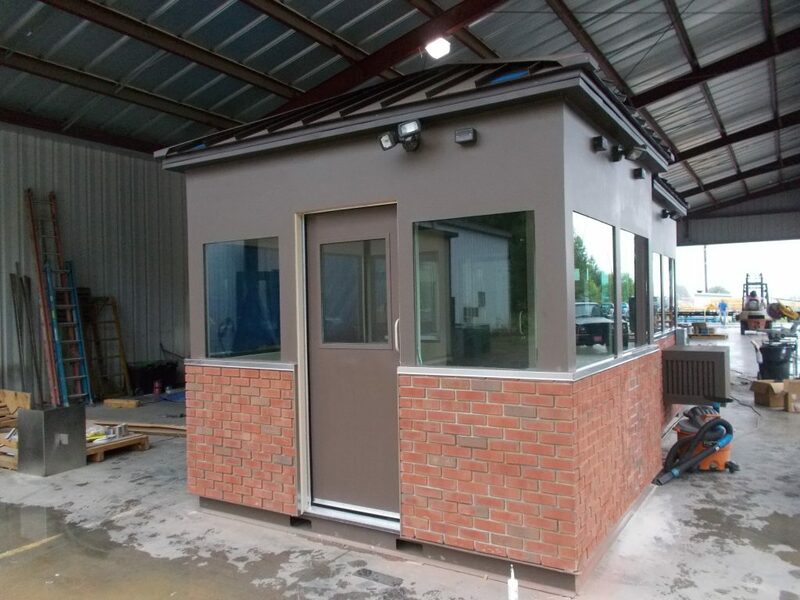 Installing a guard booth in your facility provides you with the tried and true security method of access control. By controlling who goes in and who goes out of a property, you can ensure that only approved people can gain entry. Plus, just having a guard booth and guard on duty has proven to be a successful deterrent to crime alone. Some facilities need more protection than others due to a higher threat level. In these situations, installing a ballistic rated building not only gives you the advantage of access control to your facility, but also the peace of mind that your security team will be protected in case of a threat. These buildings can be fabricated to all UL and NIJ bullet resistance levels. They come complete with bullet resistant windows and doors for maximum protection. At Panel Built, our mission is to provide the best possible space solutions to our customers with excellence and great customer service. We commit ourselves to this every day. And in order to do this, we focus solely our customer’s specific needs and do whatever it takes to go above and beyond their expectations. Through our unwavering support, we believe that we will provide you the perfect solution to your space needs and can make your facility better and safer as whole because of it. Incidents come in all shapes and sizes in large facilities, depending on the type of work being performed and the materials in the area. Here are eight ways Panel Built, Inc. can help you improve your workplace safety and security to help reduce hazards and injuries.